Loving better means understanding trauma. In 2017 and 2018, I was involved in two intensive projects that involved research, exploration and storytelling around the subject of trauma. What I learned has forever changed the way I interact in the world. After extensive conversations with survivors and trauma specialists, I can no longer assume that society’s deepest problems are the result of people willfully refusing to get their act together. Trauma has shaken the very foundations of individuals, communities and entire people groups in profound ways. We can’t ignore the effects of trauma when we are looking for solutions to all that is broken in the world. What’s the difference between pain and trauma? To be clear, trauma goes far deeper than getting your feelings hurt. It’s more soul-crushing than going through a challenging experience. It is caused by circumstances beyond your control that take away your sense of safety or well-being. Survivors often believe things about themselves or others that are not true as a result of what has happened to them. Slavery, terrorism, war, abuse, disasters, tragedy, abandonment and poverty are just a few of the kinds of experiences that leave massive, unhealed wounds that can affect people for generations. Trauma can alter a person’s ability to trust in people, organizations and governments that should be trustworthy. Trauma affects the human body physically and emotionally, and does not go away on its own. The body remembers trauma even if you can’t remember what happened. Medical science is uncovering powerful connections between trauma and our physical health. It is an undeniable fact that trauma creates permanent, cellular changes to the human body, including the brain’s responses to stress. Zealots, dictators, extremists, abusers, even terrorists are almost always settling a score left by something that happened to them. Nearly without fail, trauma was part of their stories. If you can’t see it, you’re wise to assume the secret is being guarded too closely to be discovered. While that fact doesn’t make anyone’s despicable actions okay, understanding how trauma works can give us perspective and help us learn how to stop the cycle instead of fueling it. Unlike a bruise that heals on its own if you leave it alone, trauma is more like a staph infection that spreads farther and grows more painful the longer it is ignored. We can’t undo what trauma has done, but there is so much hope as we learn more about what is and isn’t helpful. Relief comes when someone is finally able to say what happened to them and share the pain they’ve been carrying alone. A non-threatening environment is imperative for healing, in order for survivors to rebuild their sense of trust. Survivors of trauma who are able to give voice to their experiences without fear of retribution are more likely to find healing and connection than those who are unwilling to share it with anyone. Healing escalates when people who have survived trauma are able to help others who have survived similar experiences. 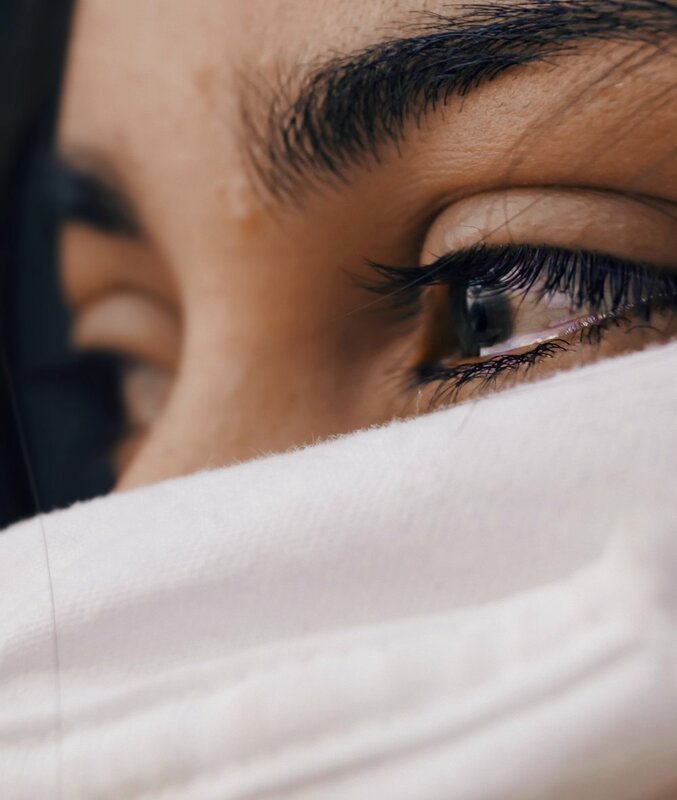 Survivors of trauma are likely already living with shame, so insults and harsh criticism only drive them farther from what they need most — trust and connection. Trauma can fuel frustrating and even dangerous outward behaviors. Having compassion on a victim of trauma doesn’t mean you should put yourself in danger. Loving someone through trauma can mean creating boundaries that keep them from hurting themselves, you or someone else. Therapy is an essential part of the healing process of survivors and those who care about them. Rather than reacting only to behaviors, it’s helpful to recognize that behaviors driven by trauma are a symptom of deeper, inward pain. It isn’t personal, even if it feels like it is. How can we contribute to a safer, more loving world where there is so much trauma? We can consider the human cost of the decisions we make, both individually and on a grand scale, taking into account the reality that trauma is impacting every segment of society. We can stop ourselves when we are tempted to judge someone whose worst nightmare became a reality and offer compassion instead of criticism. Instead of ignoring the scars left by trauma, we can create conversations that allow them to foster empathy and healing. Recognize the pain that fuels each others’ actions and talk about that, rather than the actions and reactions that are symptoms of it. Let’s assume everyone we pass in the course of a day could be battling the after-effects of trauma. As we become more aware, let’s choose gentle responses that don’t serve as triggers, but offer compassion instead. Don’t resist opportunities to understand the struggles of those with different vantage points than your own. Assume that the future of the world could very well depend on how we choose to respond to trauma, in our families, communities and across the planet. Pause for a moment to think about how trauma could be affecting the world around you. In what ways could you interact differently in order to create an environment conducive for healing and empathy? We recently sat down with therapist and trauma specialist Mark Means, who shared a wealth of knowledge regarding the ways can trauma affects our ability to connect with others. Listen to that conversation on The Love Better Podcast Episode 21: How Can Love Survive Trauma?